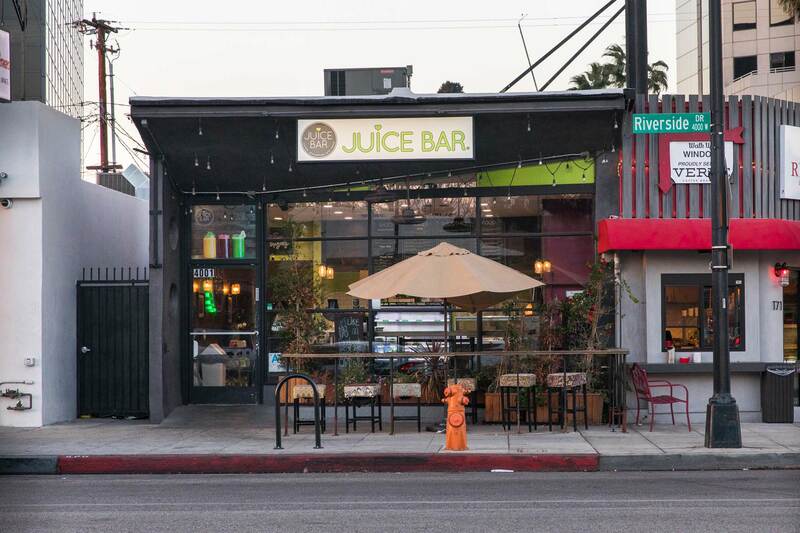 The many juice bars in and around Toluca Lake don’t just offer a refreshing rainbow of nutrient-packed beverages and wholesome foods — they also add a generous helping of community spirit. Each one we interviewed remarked on the positive vibes of their customers and the neighborhoods they serve. Here, they share their specialties and best-sellers to help quench your thirst and keep you energized through the hot days ahead. It’s a community that likes Kreation’s lemon-ginger-turmeric Feel Better shots and 50 Shades of Green juice — yes, “it literally has 50 types of vegetables, a bunch of types of kale, different types of mixed greens. It’s got pepper, chile, dandelion, spinach,” Shaw says. Locals also like the SOL drink, which combines 50 Shades and Serenity. The mild spiciness of Serenity’s ingredients, such as ginger, cayenne and turmeric, balances out the heavy greens of 50 Shades. Popular drinks are the Green Smoothie and Sweet Greens juice, he says. The smoothie contains pineapple, banana, unsweetened coconut milk, apple juice, spinach, kale and lemon. Sweet Greens has kale, spinach, parsley, lemon, cucumber and apple. Energy is big at I Love Juice. “We always deliver your juice with a positive energy because energy is contagious!” Meyer says. A fave at Rawkin is Hemp Notes, a super green smoothie. 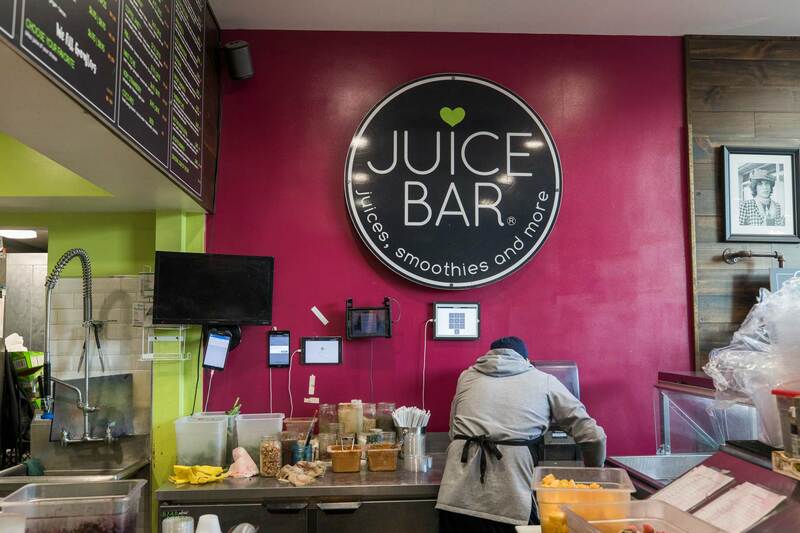 “People love it because it’s filling and tasty,” says Argo Keshishyan, Rawkin Juice managing partner. What’s in it? Hemp seeds, bananas, dates, mango, kale, parsley, spirulina, chlorella and PristineHydro Living Water. “Its high level of vitamins feeds and alkalizes the body, cleanses the skin and the blood and tastes like a delicious dessert with a hint of greens,” he says. “Our juices are 100% organic, cold-pressed, and we use glass bottles only” to avoid the “weird chemicals” that plastic can leach, says Keshishyan, one of the partners who helped open Rawkin Juice Inc. in 2013 in Burbank. 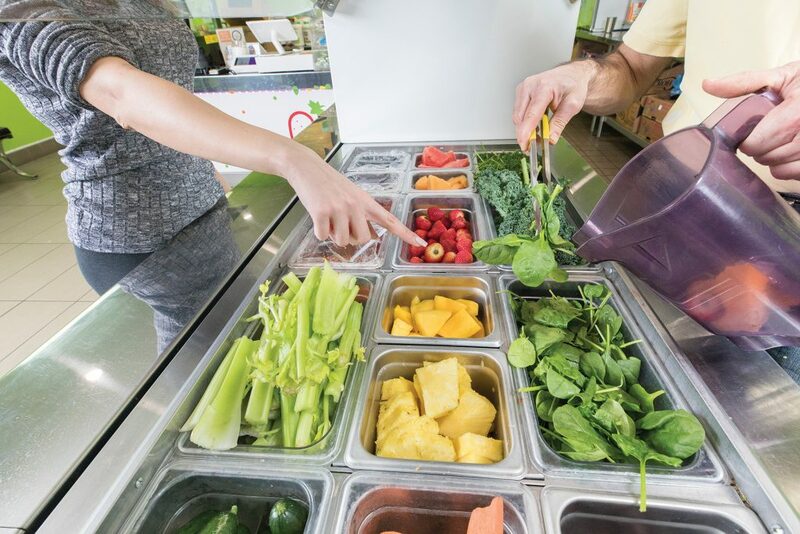 At Vahik Navasartian’s juice bar, customers can, as its name says, pick and mix as many fruits and vegetables as they like to make their own creations. Or they can try Pick & Mix’s popular Berry Acai Bowl and K1, which is a green juice and good for detoxing, he says. It contains kale, cucumber, celery, spinach, apple and lemon. Sarina Tounian discovered that natural foods made her feel better after she was diagnosed with an autoimmune condition. That inspired her and husband Dima Ciolache to open Juice Parlor, to make healthy food more available. 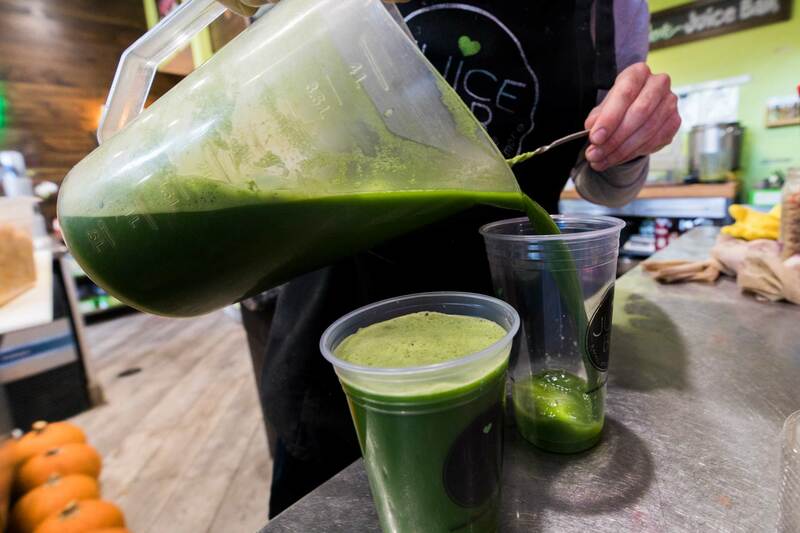 They curate their juices “to help you to not only look good, but to [also] feel truly great,” Ciolache says. Super popular and healthy items are the Cocoa Dream Bowl and Faster Stronger Bowl, which are most often meal replacements. “We don’t add sugars and we use a more pure acai in our base to provide the best taste with the most nutritional value,” he explains. 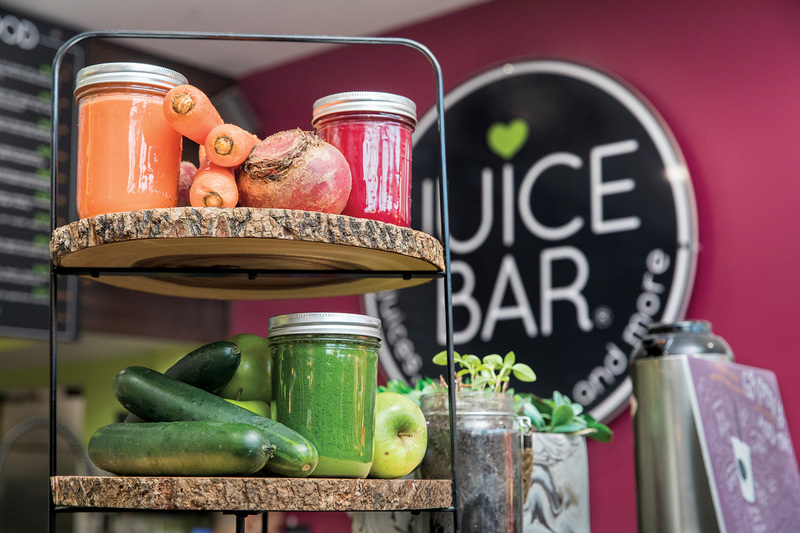 “We don’t look like your standard ‘cute kitchen’ juice bar,” says Chris Wilson, Greenhouse Juice managing partner, with pride. That’s because he wanted to create a place with the feel of both a juice bar and a tattoo parlor. Other things that stand out at Greenhouse include PBA — peanut butter acai. “It’s not overwhelmingly sweet and is delicious. You don’t feel terrible after drinking this,” he promises. There are the Basic and Anti Ox bowls. And “Greens Galore is essentially lots of greens with a little ginger and lemon to bring it together,” Wilson says.